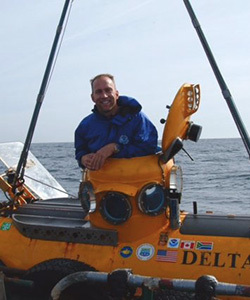 CDR Matthew Pickett, NOAA (Ret) spent twenty years providing operational support for NOAA aboard ships, small boats, aircraft, and diving. He has twelve years experience supporting the NOAA Office of National Marine Sanctuaries, including three years as the Superintendent of CINMS. 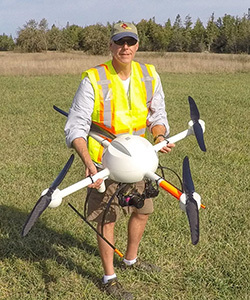 His aviation experience includes remote sensing and living marine resource surveys and small UAS missions supporting environmental research and monitoring requirements. 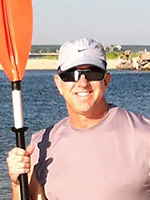 Captain Brian Taggart, NOAA (Ret) spent twenty-six years in operational and leadership positions within the federal government. As Commanding Officer of NOAA’s Aircraft Operations Center (AOC) in, Tampa, FL, he was responsible for the overall management of NOAA’s aircraft support services. He administered the NOAA flight program and established the procedures and standards which govern the program. He has experience in all NOAA operations – ship, aircraft, dive, and unmanned aerial vehicles with over 6000 accident/incident free hours flying a DeHavilland Twin Otter, a Cessna Citation II and a P3 Orion. He has extensive experience leading large organizations with effective strategic planning linking missions, goals, schedule and performance. Captain Michele Finn retired from the NOAA Corps with 25 years of service. Initial assignments included deck officer, marine biologist, remote field camp leader and logistics coordinator for NMFS, studying endangered species in the Northwest Hawaiian Islands. After selection to the NOAA flight program, Michele logged over 4500 hours of flight time, an ATP, and a G-IV type rating, flying in support of a wide range of scientific missions. 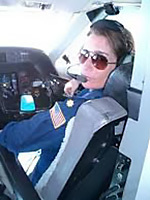 In addition to acting as Chief, Aircraft Maintenance Branch and Chief, Operations Division of NOAA Aircraft Operations Center, Michele also served as Assistant Superintendent of the Monterey Bay National Marine Sanctuary, Chief of Staff of the National Ocean Service, and Deputy Director of the NOAA Gulf of Mexico Disaster Response Center. She has a BS in Marine Biology from Texas A&M, and an MS in Zoology from the University of Hawaii. CDR Zack Pickett retired after 22 years of service with the United States Coast Guard. His USCG career focused on maritime safety and environmental protection with experience in contingency preparedness, pollution prevention and emergency management. Through a variety of operational support assignments, he specialized in field operations, regulatory compliance and training with industry partners, government agencies and stakeholders building consensus and influencing coordination of plans and resources to ensure readiness to respond to all hazard incidents, accidents or events. Zack holds a BS from West Virginia University, an MPA from Troy State, and an MBA from the University of Southern Mississippi. Todd Van Epps has over 12 years of flight experience conducting remote sensing missions with UAVs. He has worked with numerous scientific and law enforcement agencies including the U.S. Coast Guard, Navy, NOAA, National Parks, U.S Forrest Service and CA Fish and Wildlife to protect and manage the diverse resources of California and the Nation. 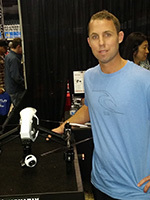 His UAV experience includes LIDAR, infrared, elevational and 3D modeling as well as high resolution imagery stitching. Todd holds a B.S. degree in Environmental Science and Resource Management and a POST certificate from the State of California where his is currently employed as a law enforcement officer. Alicia Amerson was the first California Sea Grant Fellow to work with Lieutenant Governor Gavin Newsom in developing his ocean policy initiatives, and secured state funding to support large whale entanglement response in California. 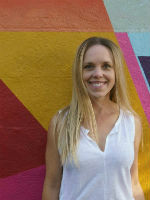 She was a volunteer on the 2015 NOAA Large Whale Collaboration study, and in 2016 convened and leads a UAS Marine Wildlife Task Force comprised of federal and state government agencies, national and international NGOs, and industry experts to develop best practices for flying UAS in marine habitats. She is the founder and current director of Alimosphere, an ocean conservation UAS training and service provider. She holds a BS in Biology from Eastern New Mexico University, and an MS from Scripps Institution of Oceanography in Marine Biodiversity and Conservation.